I am extremely lucky that in my 25 trips abroad I never really have faced any major travel crisis! And if you thought I have forgotten counting because I told you sometime back that I have visited only 16 countries then that is not true. I have visited a few as much as 5 times, so the total number of trips is more than 16. Speaking of travel crisis, though I myself haven’t faced one, travel insurance is an affordable and reliable way to handle such mishaps. While travel insurance is mandatory for several countries (like Schengen Countries) there are quite a few where it isn’t mandatory. In fact I too forgot to buy insurance in one instance while traveling to one of these places. But I have never had any reasons to claim insurance till date. Though I hope my luck lasts forever, I also do realize the need to be prepared. Here are five reasons why I buy travel insurance. Expenses involved in a medical emergency can be massive. If a traveller sustains an injury that needs hospitalization, a single day of hospitalization can cost Rs 2-3 lakhs a day or even more in the US. What’s more is that if hospitalization gets extended to over a week or in case of immediate surgery (e.g. multiple fracture, heart attack etc.) the bill could easily touch a Crore or higher. With the right kind of travel insurance a traveller can receive coverage to the tune of half a million US dollars for an affordable price. In absence of timely funds to treat a medical emergency a traveller can be denied crucial treatment which in fact can result in permanent damage. Travel insurance is also particularly beneficial in situations where a traveller faces a life threatening injury or medical condition in a remote location where medical help could be several hundred miles away. Travel insurance offers medical evacuation during such instances so that the traveller receives immediate life-saving medical treatment without loss of much valuable time. Apart from medical emergencies, situations like delayed flights, lost baggage, misplaced/stolen personal belongings can easily botch a trip. 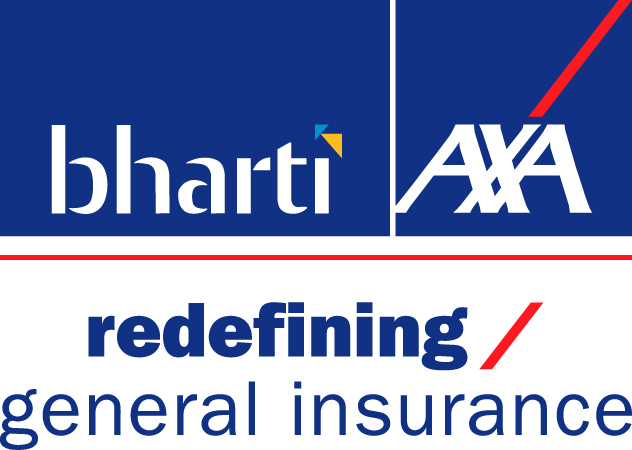 Bharti AXA GI SmartTraveller insurance provides financial support in each of these situations. Trip Delay/cancellation/interruption:Reimbursement is given for additional expenses if the trip is delayed beyond a period, due to airline problems, medical problems, personal employment problems or natural disasters. It also covers cancellation or interruption by offering payment towards the non-refundable prepaid payments or the additional expenses incurred on the trip being cancelled or interrupted due to medical problems, personal employment problems or natural disasters. Missed Connection:Payment allowance is made towards additional expenses incurred, if the confirmed onward connecting flight is missed at the transfer point by the Insured/ Insured Person due to the late arrival or cancellation of the incoming confirmed connecting scheduled flight. Loss of Deposit or cancellation– Hotel and Airline: Compensation is paid for loss of irrevocable deposits or charges paid in advance in case of, necessary and unavoidable cancellation of Hotel and Airline booking. Loss of Passport, travelers cheques, traveling tickets/documents: Reimbursement of actual expenses incurred in connection with obtaining a duplicate or fresh passport or reasonable cost of replacing/obtaining the stolen documents/ tickets if the passport belonging to the Insured / Insured Person is lost. Financial Emergency Assistance:Arrangement for emergency cash to be made available to the Insured in case of loss of the travel funds due to theft, mugging, robbery and dacoity. Delay or Total Loss of checked-in baggage:Payment of compensation for reasonable expenses incurred for the purchases of toiletries, clothing and medication due to a delay in checked-in baggage or payment towards total loss of checked baggage caused by a common carrier. Personal Accident:Payment of compensation if the Insured sustains accidental bodily injury during a trip resulting in death or Permanent Total Disablement or Permanent Partial Disablement within 12 months of occurrence of such injury. Personal Liability:Compensation for liability towards damages paid/payable to a third party, resulting from death, injury or damage to health or property caused involuntarily by the Insured. Daily Allowance in case of Hospitalisation: Payment of daily allowance for the days the Insured is hospitalised beyond a specified number of days, as mentioned in the Policy Schedule, for which a valid claim is admissible under the Policy whilst on a trip abroad. Compassionate Visit: Reimbursement of round trip and stay expenses of the immediate family member to visit the Insured if he/she is hospitalized for more than seven consecutive days. Reimbursement of return fare of the Insured to visit the native place in case of the immediate family member (spouse, dependent children or parents) being hospitalized for more than seven consecutive days in India or in the event of death. Hijack Distress Allowance: Payment of distress allowance in case of hijack of a common carrier for more than certain number of hours whilst on the trip. Home Fire & Insurance Contents: Cover against any loss or damage of the Contents at Home of the Insured in India, caused by Fire and Allied perils or through burglary and/or housebreaking while the Insured is on a trip abroad. Overbooked Flight: Provides for indemnifying the Insured/ Insured Person for the expenses incurred, if denied boarding of an aircraft on a commercial scheduled flight due to over-booking. Bail Bond:Provides for payment of bail amount on behalf of the Insured if he/she is arrested or detained by Police or Judicial authorities, for any bailable offence whilst on a trip abroad. Legal Expenses: Payment of legal costs and expenses incurred by the Insured towards claims from third Parties for compensation in respect of death or disablement arising due to an injury whilst on a trip abroad. Emergency Accommodation Payment of compensation for the additional cost of emergency accommodation if the Insured/ Insured Person could not stay in the accommodation originally booked due to fire, flood, earthquake, storm, hurricane, explosion, outbreak of major infectious diseases. A lot of insurance firms in India are joint ventures between an Indian entity and an International insurance firm of global repute. While the prices of travel insurance products are affordable the coverage and ease of claims assistance are at par with global standards. Travellers have access to huge cashless networks of hospitals across the globe where they can avail cashless treatment. A large network also implies quick help, specially in case of medical evacuation and emergencies pertaining to financial assistance. With regards to affordability, travel insurance usually costs less than one percent of the entire trip! Bharti AXA GI’s SmartTraveller offers travel insurance for one week trip for an individual less than 40 years with half a million dollar cover costs just Rs 1100. 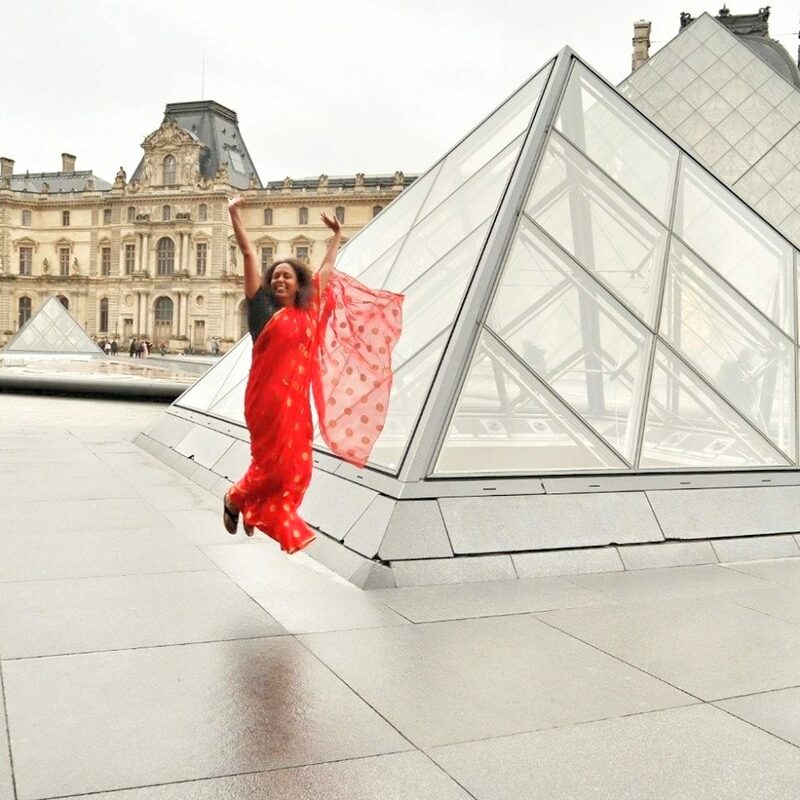 A week’s trip to Europe with a 100,000 Euro cover for a person aged 40 years or less costs just INR 606. A week’s trip with a $50,000 cover to Singapore for a person aged 40 years or less costs just INR 349. I myself have paid a little more than INR 500 for a lot of benefits that go with having a travel insurance policy. Before buying an insurance I was not even aware that lost luggage could be covered by insurance. Travel insurance can be purchased online through any mobile device (phone/laptop or tablet) in a matter of minutes and on the same day of travel. Given are a few simple steps to purchase Bharti AXA GI Smart Traveller online. When I was working full time, I used to travel a lot as well because of my blog. For all my trips I bought travel insurance last minute, probably on the day of departure. If I had to go somewhere to buy travel insurance I might have skipped whenever I could because taking leave was never an easy option. If you are not sure which travel insurance plan to buy it is easy to compare. First of all you can compare the various plans offered by the same company. There are third party websites that would let you compare insurance across service providers. There was a time when I would look at the cheapest quote as the best option. But after traveling more I realized it is also important to consider what is it that you want to be covered on a priority basis! There was this one instance when I was visiting Thailand and I completely forgot to buy travel insurance. Travel insurance is not mandatory to get a visa on arrival in Thailand. Throughout the trip I had this nagging voice in my head telling me ‘you are not insured.’ I would rather travel without that voice nagging me all the time. Though travel insurance is not mandatory for a lot of countries I would strongly recommend that is it bought while travel to these nations too. As emergencies pertaining to travel can happen anywhere, assistance at that point of time in a foreign location can provide immense relief so that you can worry about safeguarding your- self and your loved one rather than worrying about bills. What is your take on buying travel insurance? Do share your tales. Please Note: Insurance is a Subject matter of Solicitation. Very useful information Mridula. Thanks for sharing. Travel insurance is a must and helps to address emergency situations. Absolutely true and great points Mridula. I have always made it a point to buy travel insurance. Thankfully I haven’t ever had the need to use it, but I have heard horror stories of what happened to those folks who did not bother o get the insurance. Thanks for sharing M. Happy to be back and happy to have you back too – guilt or no guilt 😉 Cheers! Actually for me the break happens so many times due to traveling that I have lost my feeling of guilt 😀 And thank you for your kind words. Thank you so much Kokila. Like you I prefer to err on the side of caution and buy travel insurance. Travelling is all very well when things are going fine, but when you fall ill or lose your documents it can be a nightmare. I remember getting acute toothache on my honeymoon in Kodaikanal. There was no such thing as travel insurance then though we had our own insurance, carrying enough money – so were able to visit a dentist and get the necessary medicines. Toothache on honeymoon doesn’t sound good! I am really scared of running medical expanses abroad! But so far so good! That was a (very) comprehensive post, Mridula. Thank you so much Divya. Maniparna I don’t take travel insurance while traveling within the country but when I travel abroad I buy it as a routine. yes very true, thankfully most of the aborad trips i took this year was on work and its insured by my firm!!! Thank you Yogi. Actually normal travel insurance doesn’t cover adventure activities. Here is where I wrote about it. Thank you so much Vishakha.